London, 18 March 2009 – Three additional fully qualified accounting professionals have been taken on by the standards and player protection body eCOGRA in a move to expand the business advisory and standards compliance services which the organisation offers to a growing number of software providers, operators and affiliate programs. Gareth Muirhead joins eCOGRA’s Data Department. He is a Chartered Accountant with majors in Computer Science, Information Systems and Auditing. The Data Department is responsible for ensuring the fairness of the gambling software being offered by the operators of casino, poker, bingo and other games of chance, by performing comprehensive output-based tests on the randomness and payouts of the games. 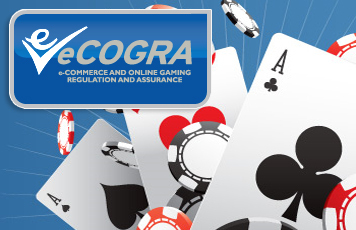 eCOGRA currently monitors and certifies the results of over 200 online gambling sites. Bradley Khoury will work in the organisation’s Compliance and Advisory Services Department, which is currently providing services to over 50 tier one Internet gambling companies, and provides eGAP inspections and reviews on certifications for software suppliers, operators, and affiliate programs. The CAS teams also advise operators and software suppliers on eCOGRA requirements and best business practice, based on extensive industry experience and knowledge, and an understanding of the unique and specific challenges facing online businesses. Financial, business process and technical skills are utilised to develop and tailor innovative solutions to assist eCOGRA accredited companies in a range of business and industry related challenges. Khoury is a Chartered Accountant and was a top performer in PricewaterhouseCoopers’ Risk Advisory Services Division. Sean Roberts also joins the CAS team. He is a Chartered Accountant and Audit Manager with international and commercial experience who has found enough time in a busy life to obtain a pilot’s licence. Beveridge said that an added advantage was working closely with eCOGRA’s independent directors, who are respected senior executives with wide gaming industry experience.